Ji-Hyeok (Kim Woo-Bin) is an elite safe-cracker and counterfeiter. 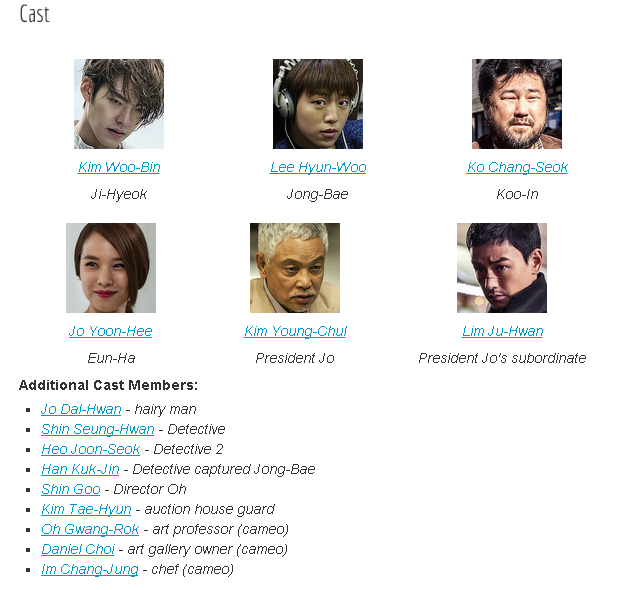 He works with Koo-In (Ko Chang-Seok) who introduces him to elite hacker Jong-Bae (Lee Hyun-Woo). There’s rumors that Jong-Bae has betrayed other partners in his past. Nevertheless, the trio decide to work together to steal valuable diamonds held within a secret vault at a a high-end jewelry store. The jewelry store is owned by President Jo (Kim Young-Chul). Meanwhile, President Jo is in search of an elite safe-cracker to help him steal millions of dollars stored within a Korean customs area in Incheon, South Korea. Filming began on March 9, 2014 and finished August 12, 2014. The last scene filmed took place within a skyscraper in Seoul, South Korea. The scene has Ji-Hyeok (Kim Woo-Bin) sneaking into the building to steal a statute worth 500 million won, but is chased by security guards and has to jump off the rooftop of the building to avoid capture.